Chanel uses only the highest quality of leathers in their creations. 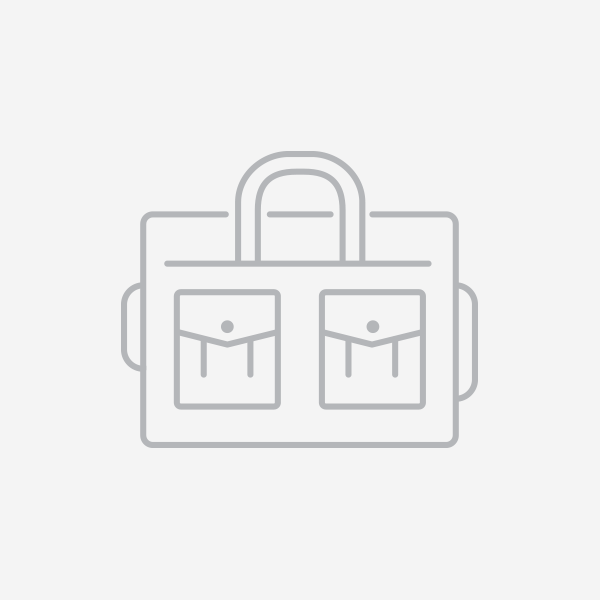 Most items crafted by the French fashion house are done in supple lambskin or pebbled caviar leather, although other materials such as patent leather, tweed, exotic, and man-made fabrics are used as well. 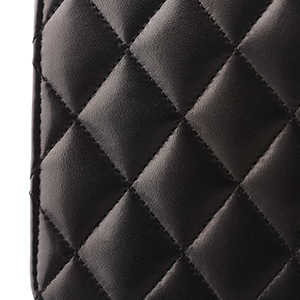 The stitching on Chanel bags should be evenly spaced and symmetrical throughout the entire piece. 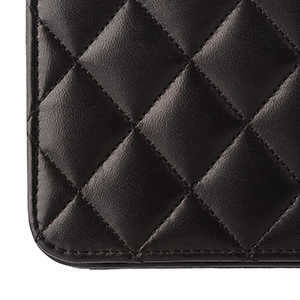 This perfect stitching is based on the expert workmanship and high standards that the Chanel fashion house rests upon. For the most part, Chanel uses brass, 22 or 24 karat gold or silver plated hardware on bags so it should have some weight and density to it (not hollow). With gold plated styles, the hallmark denoting the gold plating should be located most often on the left side of the left C on the logo. The zippers should open and close smoothly to reflect the quality. If there are any logos on the hardware, the lettering should be clean cut to reflect the luxurious nature of the brand. 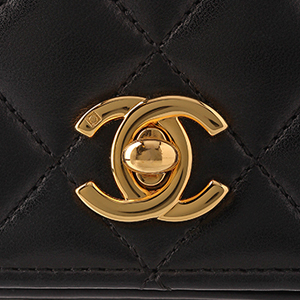 The signature Chanel interlocking C logo is a very notable point to examine for authenticity. When looking at the logo the right C should overlap the left C at the top and the left C should overlap the right C at the bottom. 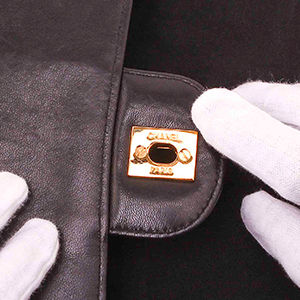 The interior stamping of the Chanel brand should match the color of the hardware. 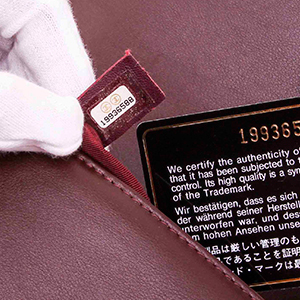 Chanel utilizes a serial number system for their bags. Each item has a unique 7 or 8 digit number printed on a sticker inside the bag that denotes the year of manufacture. This sticker will either be stuck to the interior lining or on a leather tab attached to an interior seam. Depending on the year, there may be a number of features included on the sticker including font used, the presence of a Chanel hallmark around the edges, as well as glitter embedded in the sticker.